Actor Varun Tej is teaming up with director Srinu Vaitla after director Krish's movie "Rayabhari" was shelved. Actor Varun Tej's project with director Krish, which was titled "Rayabhari," has been shelved over some financial issues and the Mega family hero is set to team up with director Srinu Vaitla. 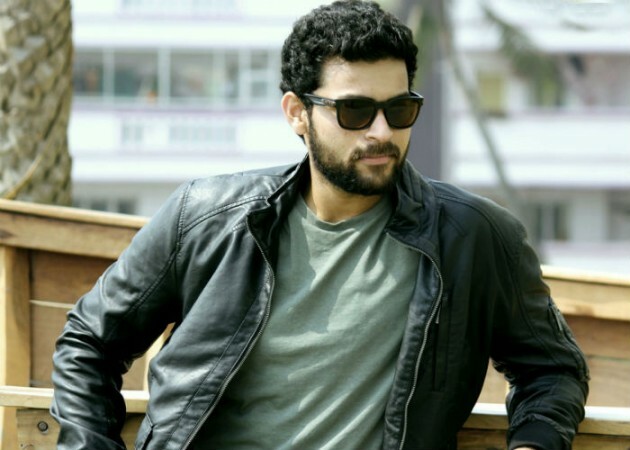 On his birthday on Jan 20, Varun Tej himself announced on his Twitter page that he was teaming up with director Krish for his next movie titled "Rayabhari" once again after "Kanche". The actor said, "#Rayabhari is the next!!.. Excited to be working with our fantabulous #kanche team yet again..@DirKrish @FirstFrame_ (sic)"
But the latest reports suggest that the project has been shelved due to budget issues. The business of a film depends of the star power of its hero. The budget estimation of "Rayabhari" was reportedly enormous and the producers of "Rayabhari" thought that a film featuring young actor like Varun Tej may find it difficult to recover the production cost. Varun Tej has moved on and reportedly signed another project with ace director Srinu Vaitla. This new project will be produced by C Kalyan. The actor has already done three movies belonging to different genres. His fourth film will also be a different attempt and it is expected to tap out his comic timing. "After his project with director Krish got shelved, Varun Tej was looking to work with an experienced director like Srinu Vaitla. More than that he wants to do a completely different genre in his fourth film, so he is ready to join hands with Srinu," the Deccan Chronicle quoted a source as saying. If we are to go by the report, Varun Tej has signed two other new projects, which are said to be directed by Gopichand Malineni and Venky Atluri. Dil Raju is reportedly producing Venky's film under his banner Sri Venkateswara Creations. However, it is not known which of the three films will go on floors first.